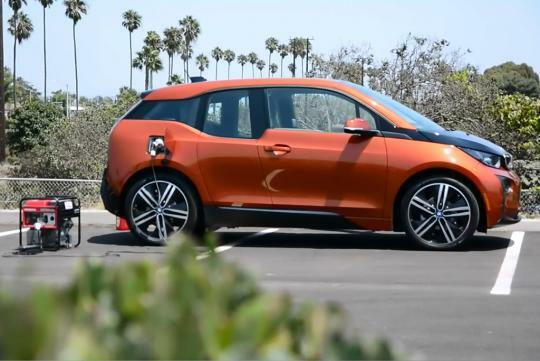 > How can Honda help your BMW i3? While not exactly relevant to us since the BMW i3s that we get here are the ones with the 650cc two-cylinder range extender engine, the guys at GadgetReviews might have found a cheaper alternative to extend the range of the electric only i3. How? By using a Honda portable generator that you can buy from a hardware store. Admittedly, this is just a causal experiment and is definitely not the best solution to recharge your i3 while you go have lunch. Watch the video to find out how many kilometers they managed to squeeze out of a 30 minutes charge via the Honda generator. Pretty interesting idea we think!